There’s nothing like fresh strawberries! Strawberries are the epitome of summer; not only are they juicy and delicious, they are a bona fide superfood. Whether you buy strawberries at the grocery store or local market, or pick them yourself, this little red fruit is packed with a ton of flavour and lends well to a variety of preparation methods. These recipes are made with wholesome ingredients and highlight the true essence of strawberries in their purest state. They require very few tools and ingredients to make and require no cooking time at all! On that note, let strawberry season begin! 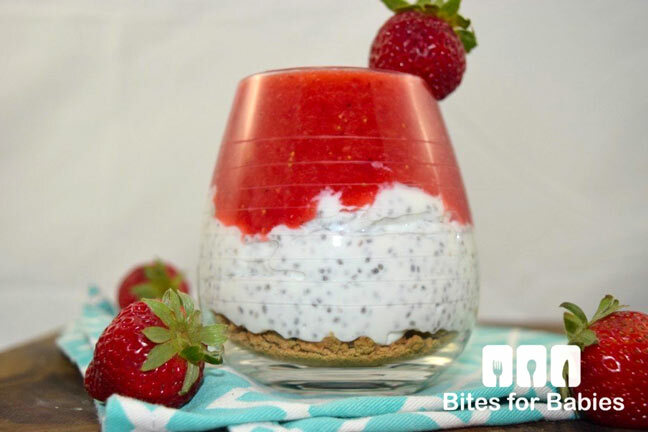 Step 1: Mix the chia seeds in the yogurt and set aside in the fridge for 1–2 hours or until the chia seeds have plumped up and fully softened. Step 2: In the meantime, wash and rinse the strawberries, remove the stems, and place in a small food processor. Puree with the maple syrup until smooth. Step 3: Crumble the cookies (if desired), then layer over the chia yogurt and the strawberry puree. Step 4: Store in the fridge in an airtight container for up to 3 days.